It hasn't been easy for the former android giant. HTC’s latest effort in the flagship space, the U11, has launched to rave reviews. 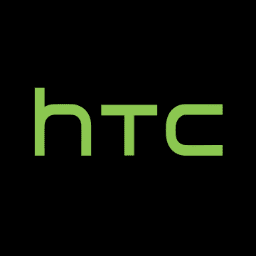 To keep to the competition, HTC needs to update the public with more fashionable devices. Today a well-known and reliable HTC insider claims to have some knowledge on the company’s next smartphone release; "htc ocean life". H e made this known on twitter. According to @LlabTooFeR on Twitter, HTC is apparently working on a device named “Ocean Life” that will give almost same performance the HTC U11 offers but in a less expensive and smaller package. The “Ocean Life” code name gives good ijudgement that this is indeed what HTC has in mind since the U11 is also code named“Ocean.” This mid-range device is apparently going to be powered by a Snapdragon 660 processor with Android 7.1.1 and Sense 9.0. RAM. Though and storage allotments are unclear, but I’d have to bet 3GB/32GB based on other devices in this category, it's definitely going to blow your mind. “Ocean Life” also packs a 2,600 mAh battery, 5.2-inch 1080p display, and Bluetooth 5.0. Along with that, HTC isn’t skimping in the camera department with 16MP sensors on the front and back. Interestingly enough, HTC also appears to have plans to extend the reach of its “Edge Sense” feature by making it a apart of device. It’s also likely this phone will lack at a headphone jack, instead including the company’s USonic USB-C headphones. It’s unclear when HTC might be planning to launch this device, but if HTC can hold this device to the same standards as the U11, it should prove to be a very solid mid-ranger. A good move by HTC. But I think the battery capacity ought to be greater than 2600mah. Let's keep our hopes alive for more information on this awesome device.